Our Buell BlueTooth ECM Dongle with ALS(TM) is the first Wireless Adapter made for Buell ECMs that is equipped with ALS(TM) . ALS or Assistive LED Signaling provides Visual Assurance for the operator for instant reference as to the status of a number of operational states of the ECM. 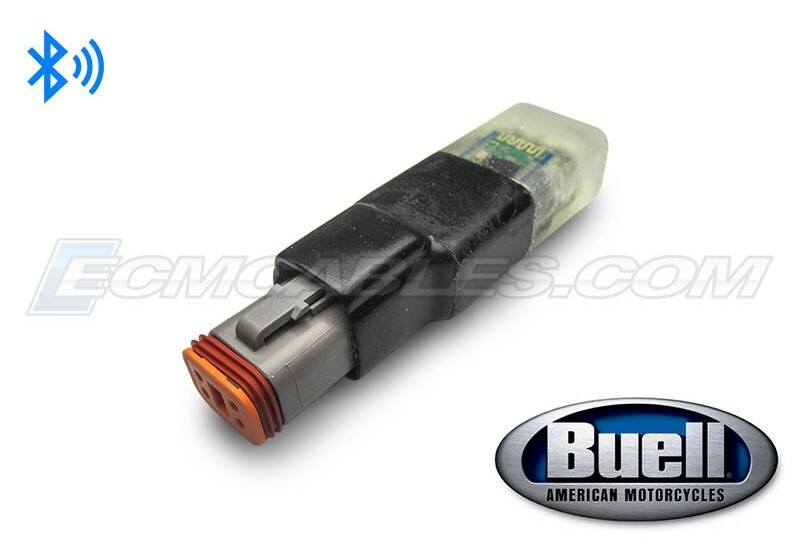 When the Buell ECM is engaged, it provides power to our Buell Bluetooth ECM Dongle with ALS(TM) and while a Power-ON condition exists, a “BLUE” LED is active and bright. When powered on, our Buell Bluetooth ECM Dongle with ALS(TM) will proactively seek a Pairing Device, and a “RED” LED will flash quickly until a “Paired” condition is obtained. Upon becoming “Paired,” the “RED” LED will continue to flash intermitently and appear as flashing slowly. Additionaly, each of two “WHITE” LEDs, located on either side of the “BLUE” LED, serve to momentarily flash whenever data is either Transmitted and or Received in their respective channels at the ECM. ALS takes the guess work out of communications and pairing condition troubleshooting, and can also serve to inform the rider of operational status during Data Logging. Our Buell BlueTooth ECM Dongle with ALS(TM) is the first Wireless Adapter for made for Buell ECMs which is fully encapsulated for weatherproof operation, and although it is not designed to remain on the bike as an attached accessory, it can be used while the bike is in operation for Data Logging and Live Data Viewing. Pair your PC Bluetooth with our Buell BlueTooth ECM Dongle with ALS(TM) using ECMSpy, or with an Android Phone or Tablet using ECMDroid. Additionally, one can use our Buell BlueTooth ECM Dongle with ALS(TM) in conjuction with a Windows, Android or iOS Smart Phones or Tablets over WIFI with a Windows laptop or PC running ECMSpy, TunerPro, or DirectLink using RDP, whether staionary or while riding. 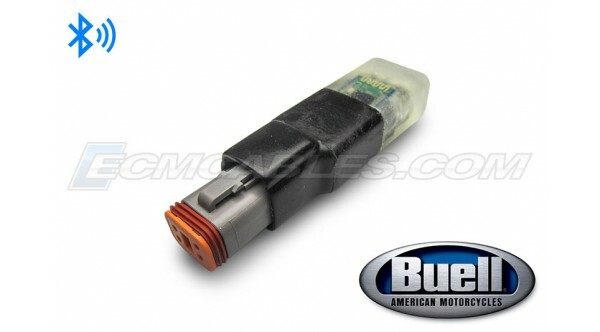 An optional “Conversion Kit” for altering between Stock ECM and Factory Race ECM connectivity for our Buell BlueTooth ECM Dongle with ALS(TM) is available and sold separately.